Hello Alan. Thank you for taking the time to be part of Corporate Conversations. Can you tell us about yourself? Hi! 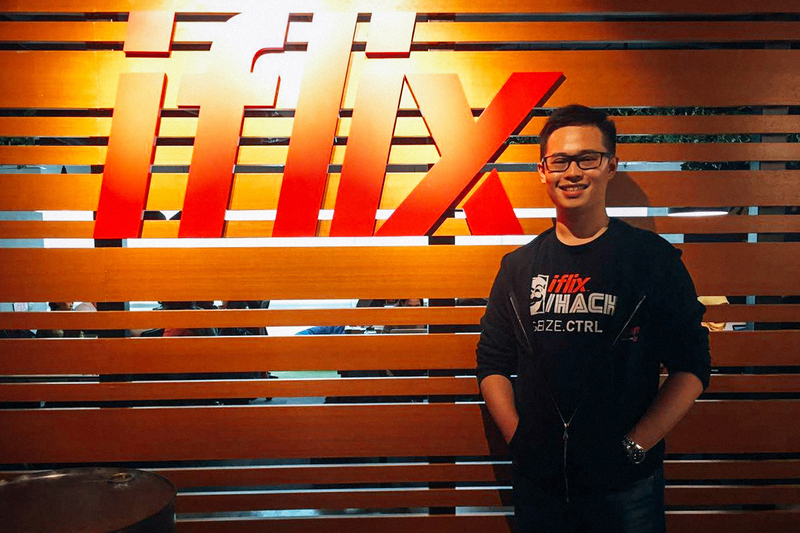 I’m Alan, and I am the Community Manager of iflix. So, my job revolves around promoting engagement within the community, reaching out to our audience, engaging with the community in both online and offline platforms and interacting with our fans through social media and on-ground events. Obviously, I’m a huge movie and TV series buff, and my favourite TV show is The Last Ship, which is currently showing on iflix. How do you stay in love with what you do? To be in love with what I do, I have to love the product I’m representing and I’m proud to say that I love what iflix offers. That makes it easy for me to stay motivated at work. iflix keeps me excited because its mission is to bring entertainment to the people. We are making iflix really accessible to anyone and everyone; as long as you have an internet connection, you can enjoy iflix. It’s not a luxury product; it’s for the masses. I love it! That sounds awesome. Alan, what do you normally read and how do you consume your information? I’m a huge fan of Isaac Asimov, who is one of the most prolific and influential sci-fi authors of all time. I also read a lot about the tech world, so I find websites like Techcrunch and Tech in Asia really useful. In your opinion, what are some characteristics of successful people in a company? I think most successful people got to where they are by being in love with the product they sell. When you are passionate about your product, you will add more value into your product. Successful business people also tend to prioritise offering more value to the customers through products or services. Lastly, to be good in what you do, obtaining feedback from your consumers and using the information to improve yourself are essential. I love it because iflix does not run marketing activities in a conventional manner. As the Community Manager, I have to ensure that each and every iflix subscriber is well taken care of. I also need to understand the landscape of the market as it evolves in order to serve relevant content to the audience at all times. At iflix, the marketing team and all its activities are the link that bridges the gap between our consumers and our content. In a nutshell, iflix’s marketing strategies are really different and challenging, and I really enjoy that. What would you consider as a successful marketing campaign? A marketing campaign is defined by how many touch-points there are throughout the campaign. For instance, our House of Horror campaign. We promoted iflix’s horror content throughout the nation via online and offline platforms. We targeted the right audience using the web to invite them to our offline movie marathon. We sold out all 450 tickets within a week, and the clients loved it. Personally, I also think great marketing campaigns come from great experience, so, it’s always important to learn from your mistakes and successes as you go on. Do you think custom t-shirts can be a disruptive marketing tool? Of course, because when they are done properly, custom t-shirts can create curiosity and be used to break the ice. What do you think differentiates Saltycustoms from other custom t-shirt providers? The customer service, definitely. The Apparel Consultants made everything so easy. Is there anything you’d like to say to new or upcoming marketing executives? Don’t be afraid to try new things. Always work with your team to come up with the next great idea, and be bold enough to explore those ideas even though they have never been done before. Always be open to experimenting and stay positive! That’s all for now, Alan. Thank you once again for your time!